Seven innings weren’t enough to decide Tuesdays’ West Central Activities Conference contest between the West Central Valley Wildcats and the Ogden Bulldogs. 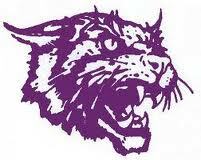 West Central Valley head softball coach Tayrn Van Ryswyk shared with Raccoon Valley Radio the Wildcats lost to the Bulldogs 4-3 in nine innings last night in Ogden. She reports senior Taylor Beane had a double and a single, while Grace Dupuy and Emma Johnson registered two singles in the setback. The loss drops West Central Valley’s overall record to 3-10. The Wildcats resume their season Thursday in a nonconference contest versus CAM in Stuart.